Achieving your true potential and making sure you are seen as the candidate of choice is hard work and requires commitment and focus. The AfM programme focuses on you and allows you with the support of an experienced coach to develop a learning and development programme that will support you in achieving your goals. Enrolling with AfM on a professional marketing course is an important step in investing in your own personal development. 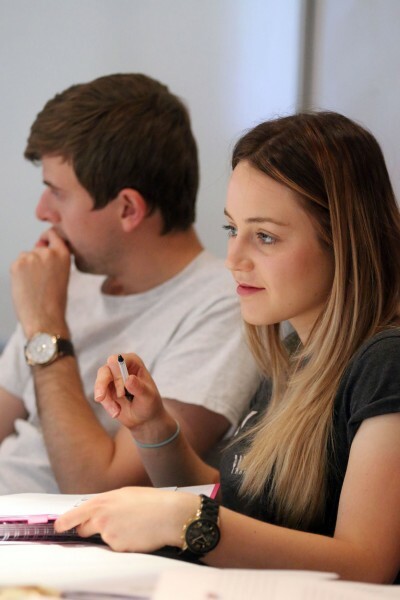 Working towards a professional qualification in marketing is a vital part of your career progression…..but that’s only part of the story. To maximise opportunities to progress in your current role or to secure a promotion in your own or another organisation it’s helpful to think of how you can best complement a professional award and ensure you stand out from the crowd when it’s comes to progression. To help you achieve this AfM has developed its own Personal Development Programme which can be tailored to suit you and your needs. The AfM programme focuses on you and allows you, with the support of an experienced coach, to develop a learning and development programme that supports you in achieving your goals. The first step is recognising that you might benefit from personal support and guidance in identifying your goals, testing how realistic those goals might be and then setting a realistic plan to achieve them. AfM can help by organising a discussion with one of our experienced management coaches. This usually involves a face to face discussion to determine what you are trying to achieve and what’s needed……an initial assessment. The next step is for the management coach to develop a plan with you, to set a time frame and agree a working contract with clear responsibilities set out for both you and your coach. What level of commitment is needed from me? Who will my coach be? This will be determined by the plan you agree and commit to. However, the initial assessment which includes a face to face meeting, web questionnaire or telephone call to assess your initial needs and a next steps assessment will cost £99. Following this stage an estimate of the cost of the programme will be provided which will be tailored to your needs. How will I benefit from the AFM Personal Development Programme? Investing in your own development and personal growth is an essential part of achieving your true potential. The AfM programme allows you secure space in a busy life for you and to ring fence some time to think clearly with the help of your coach, about what you want to achieve and put in place a realistic plan to make a start and put a schedule of planned activities in place.